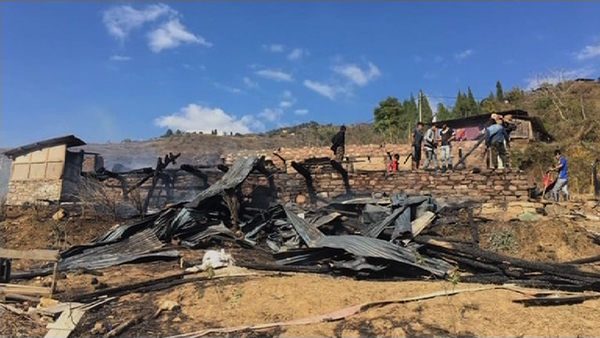 A single storied traditional house was razed to the ground by a fire at Samling KhaMaed in Draagteng Gewog in Trongsa yesterday afternoon. Three families lost all their belongings in the fire. No casualties were reported. It was learnt that there was no electricity in the area from February 9 and the power was restored yesterday morning. A heater plug, which was left, connected, by one of the tenants while leaving for work is suspected to have caused the fire.